As part of a capstone project for my MPH program many years ago, I developed a health education program called “Don’t Let the Sickle Stop You.” It was part tongue in cheek, but also a message I thought was important especially for youth who so often take on a fatalistic mentality when growing up with the disease. Somewhere along the line, it became my mantra. Can I take a 3 month assignment abroad? Don’t let the sickle stop you. Can I enjoy a vacation in the North Carolina mountains during the Winter? Don’t let the sickle stop you. Should I quit a good government job with decent insurance and move to Brazil? HA. Don’t let the sickle stop you, Melissa. Despite these decisions (and how fearless I may subsequently look), they were all calculated and not without hiccups. I was hospitalized in Paris for a week with a SCD crisis after getting caught in the rain and cold unprepared. I spent weeks shopping for appropriate winter wear to keep me warm in the mountains. I knew that when I moved to Brazil, I’d be surrounded by medical professionals who specialized in SCD. Calculated, I tell you. The next vacation I dream of is to an island off the coast of Kenya (Lamu). The sickle might stop me with that one. The pre-lim risk analysis suggests medium to high level riskiness given my specialization needs. All of this to say – What a privilege I have to make these risk assessments. 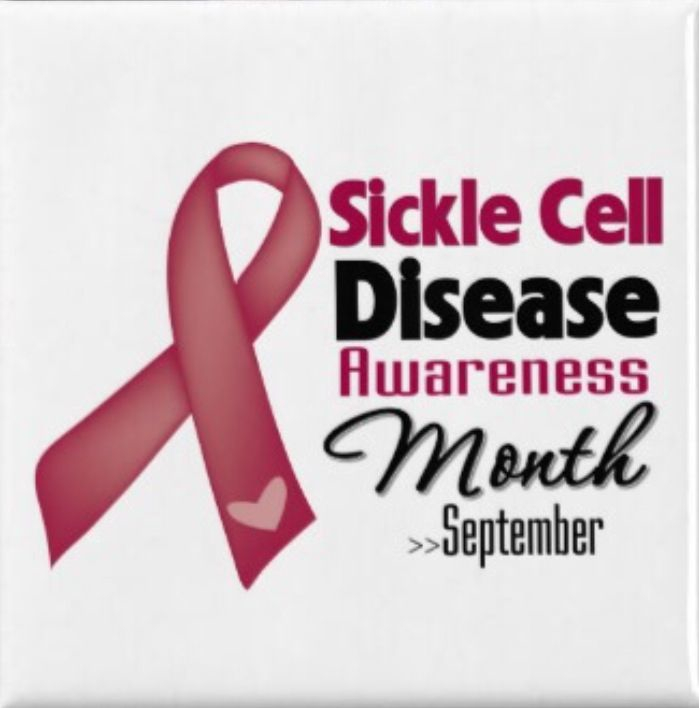 September is Sickle Cell Awareness Month and on the last day of September this year, I’d be remiss to talk about the continued importance of discovery and innovation, public health initiatives, and general awareness for this disease. The paucity of these is alarming. I have lived a life dedicated to sickle cell disease, part of it was written in destiny, my genetic code, but the other part was a choice. A choice to be as involved as possible with making an impact for and with the sickle cell community. It drives the kind of scholar I want to be, the kind of scientist I’ve had the privilege to be, and the kind of activist I hope to continue to be. I went to my first Sickle Cell Disease Association of America (SCDAA) meeting in 2001. I had just graduated with a biology degree and was working at Morehouse School of Medicine. My supervisor couldn’t attend the meeting and asked me to go in her stead. Off I went to NYC for the first time, to give my first poster presentation, my head and heart full of wonder…having no idea of what was to come. I grew up giving basic science poster presentations and evolved into giving public health plenary addresses at this annual meeting. Like a family member that you love and simultaneously sometimes want to throttle, SCDAA has always been a part of my adult life. This Friday, October 3rd, I’ll accept a National Advocate “Champion” award from SCDAA. 13 years later after my first ever scientific meeting, I can’t describe what it feels to be recognized by the organization that helped grow me up, set me on my path, and affirmed many fears. This September, I am so full of gratitude. For places like SCDAA and the CDC who continue to make sickle cell disease a priority when the odds are stacked against them in this place where the proverbial pie continues to shrink. For places like Emory, my institutional home where I have been supported through my biology, public health, and now interdisciplinary doctorate programs. For my friends and family who watch me when I think no ones watching, who spend time with me when I’m pre-crisis, during crisis, and post-crisis (pain or otherwise), who skype with me during my many adventures, who lift me up in prayer and warm wishes. My life is so full and I’m so lucky that 8 times out of 10 I don’t let the sickle stop me. And as long as I can, I’ll be fighting to share stories, to raise awareness, to push for funding, so that others can live a life without it stopping them too.